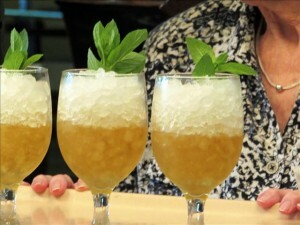 Since that moment, the recipe for the mint julep has become legendary both in American and mixology history. Even still to this day, Bill Buckner continues to grow special mint leaves in the Bishop Spencer Place garden. He also still honors the family recipe and passes along his tips for the perfect mint julep to other residents and staff members at BSP. Thank you very much, Bill, for this awesome mixologist knowledge! Click here to read the full article from KCTV.